APRIL Group joined young Southeast Asian environmentalists, Singaporean school students and representatives from the National Parks Board (NParks) as part of a tripartite enhancement of the Bishan-Ang Mo Kio Park‘s Butterfly Habitat. 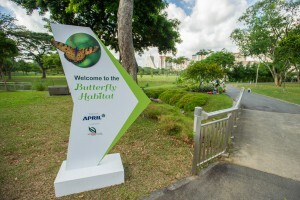 The Bishan-Ang Mo Kio Park Butterfly Habitat. 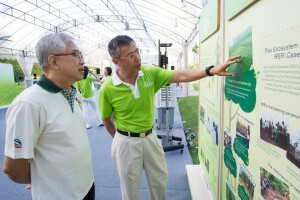 APRIL Group Chairman Bey Soo Khiang (right) shares APRIL’s robust conservation and eco-restoration programmes with NParks’ Assistant CEO Kong Yit San (left). 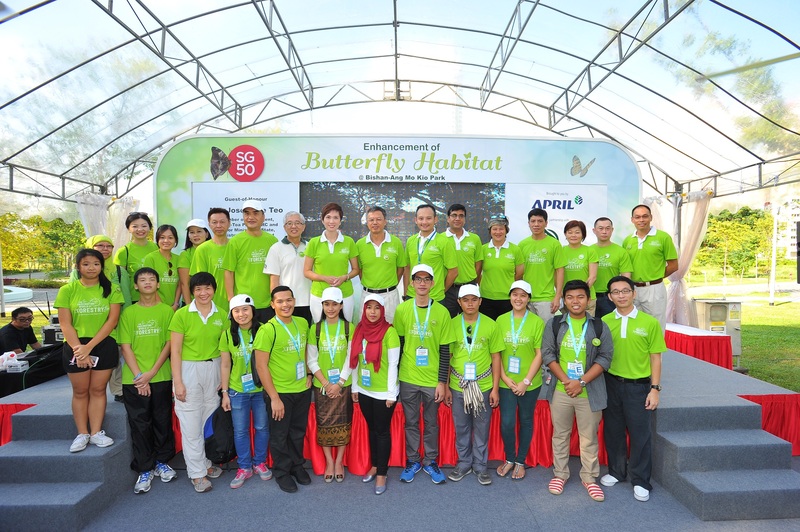 APRIL Group Chairman Bey Soo Khiang outlined the significance of APRIL’s sponsorship and involvement, saying the partnership with NParks was meaningful and reflected APRIL’s focus on conservation and community engagement. 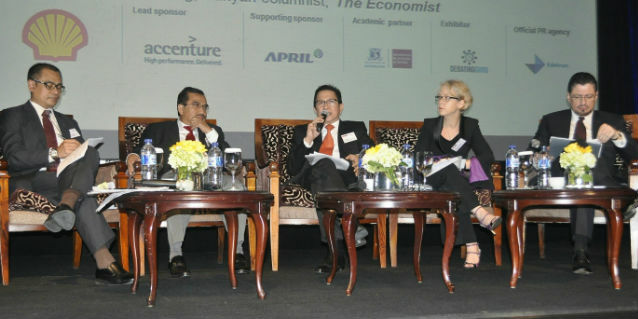 (Link: Mr Bey’s full speech) Close and fruitful community engagement is at the heart of APRIL Group’s operations. Behind the direct and indirect creation of 90,000 jobs, the protection of 250,000 hectares of high conservation value forests and its robust fire prevention programmes, lie active and meaningful engagement and collaboration with communities, farmers, governments and NGOs. APRIL Group’s participation in the greening of Bishan-Ang Mo Kio Park marks another chapter in pulp and paper giant’s role in carbon sequestration, eco-restoration, conservation and protection of biodiversity. 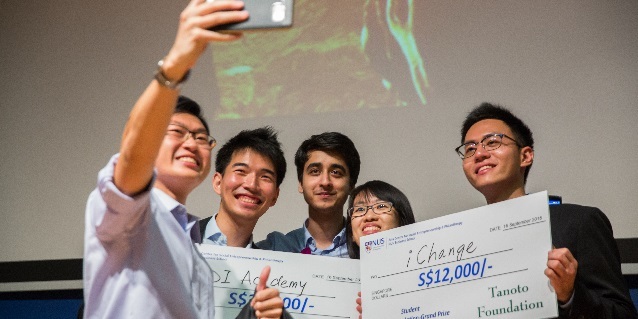 The presence of students and young environmentalists from the ASEAN Power Shift 2015 conference also symbolises APRIL’s commitment towards sustainability through the partnering of potential key environmental stakeholders and custodians of the future. APRIL has championed sustainable forest management and reached out to youths through engagement and educational programmes such as ‘The Fascinating World of Forestry’. 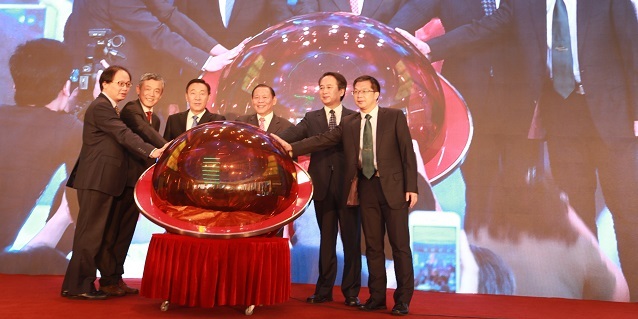 These remain aligned with APRIL’s business principle of doing what is good for the community and good for the country before achieving what is good for the company. 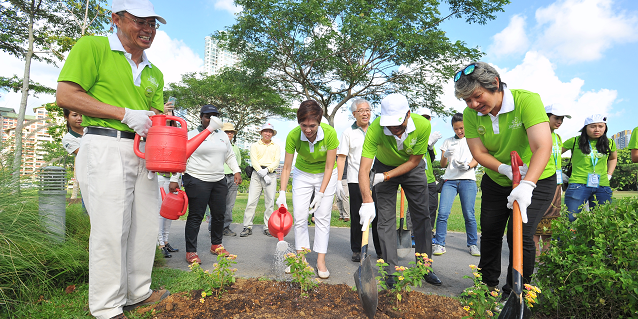 APRIL Group’s management with Senior Minister of State Josephine Teo, NParks Assistant CEO Kong Yit San, 77th Street founder Elim Chew and youth delegates from the Asean Power Shift 2015.